Recently spotted on a Facebook wall. The hospitality industry depends more on reviews a.k.a. stories more than a lot of other industries. In India there one will not find too many smartphones that do not have a restaurant discovery guide app. Customers visit when you are recommended by other’s especially in their social circle. The tro uble with most businesses is they use their Facebook page as free media space and assume the fan base to be deaf and mute. It is not about what you put on your page but the conversations amongst your fans. A good example of this is the Facebook page of UK based Costa Coffee which has looked like a poster spot for years now. 2.5lac fans and average 11 likes to a post. From experience negative comments are also deleted. 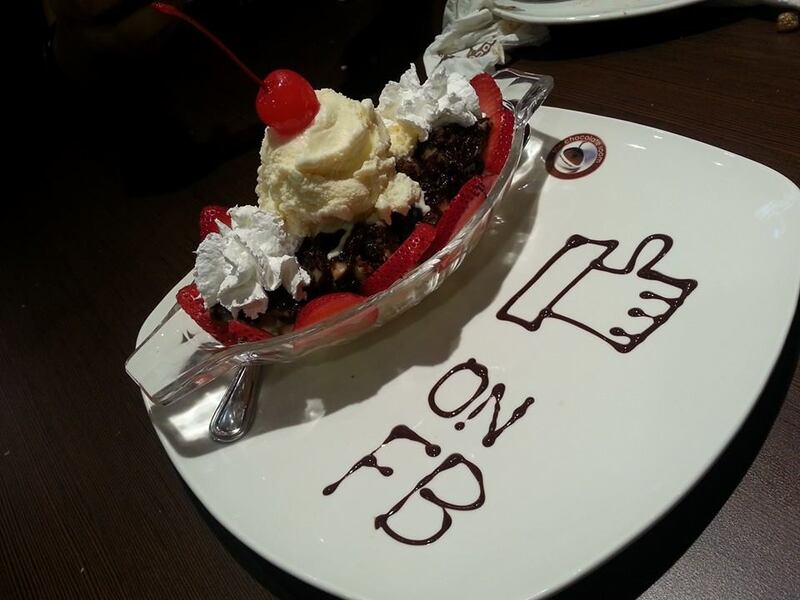 Coming back to the sumptuous picture of dessert with icing that said ‘Like us on FB’ posted by a customer from thechocolateroom in Oman. The restaurant gives a happy nudge the kind that brings a smile to the customers face; the kind that makes you relax on skepticism and rational considerations; the kind that makes you pull out that phone, take that picture and post it on Facebook. 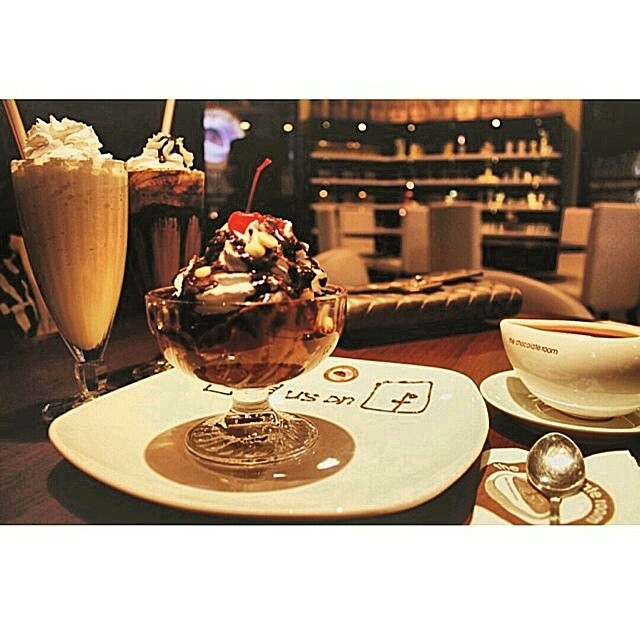 This entry was posted on July 29, 2014 by thebuystories in customer stories, insights, the power of stories and tagged costa coffee facebook page, customer experience management, facebook for brand storytelling, importance of reviews in the restaurant business, innovative social interaction, Like us on Facebook, the chocolate room oman.